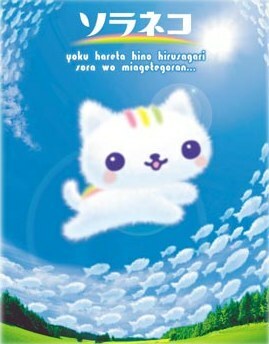 In the refreshing blue sky photograph, there is a new character called "Soraneko." Above all, notice the feeling of the most fluffy stuffed animal. She was born from a cloud egg. 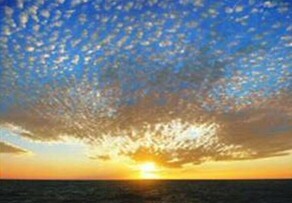 Apparently she is searching for the legendary whale cloud. 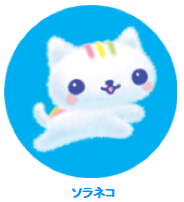 She spends her time energetically flying around the heavens, chasing after airplanes, napping above the clouds, and doing as she likes carefree.♪ She likes mackerel skies.1 She hates thunder. 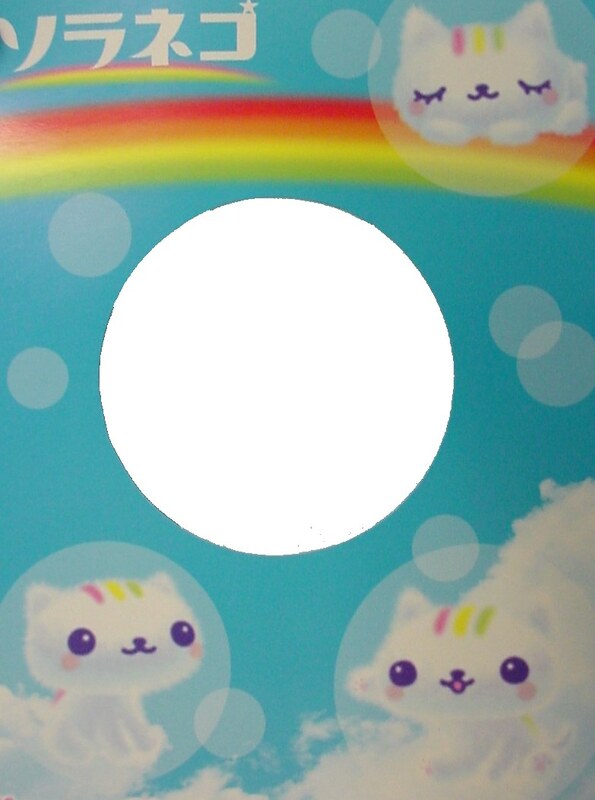 This little cat born from the clouds (a cloud egg in fact) likes mackerel skies to form a classic San-X pun. ah ha ha! 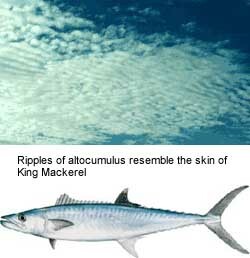 All of this forms the pun shown in the picture of the mackerel fish in the sky making the mackerel sky!! Let's take it one step further that we are talking about a cat who naturally loves fish! 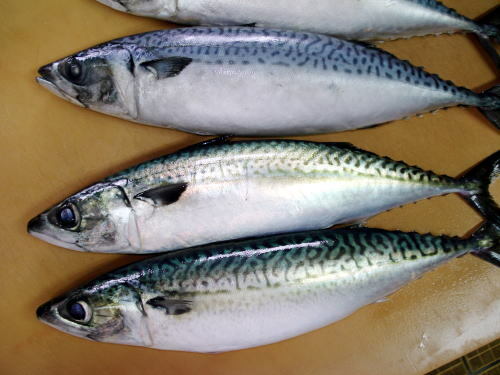 Mackerel (saba in Japanese サバ (鯖)) is also a popular type of nigiri sushi and sashimi. 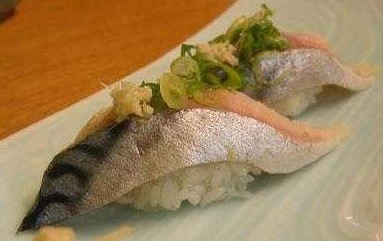 Its taste is sweet and fishy. 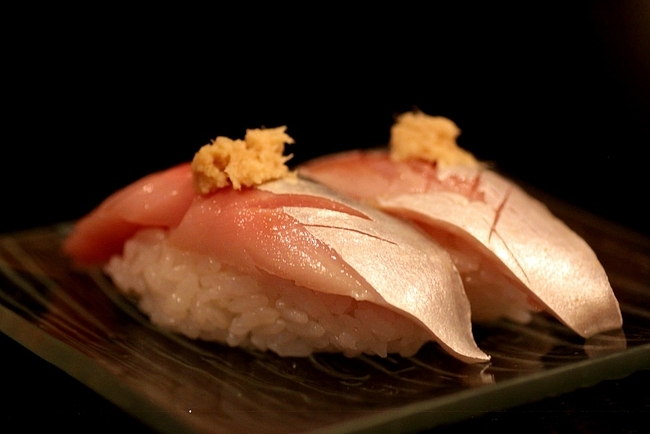 Saba is usually accompanied with fresh grated ginger, and sliced scallions to bring out the sweetness while counteracting its rather rich oils to leave a light aftertaste on the palate.